"COOKIE" POLICY: To help ensure we are publishing content users need and want, we collect aggregated site visitation statistics using cookies. We do not track individuals' use of the Website. 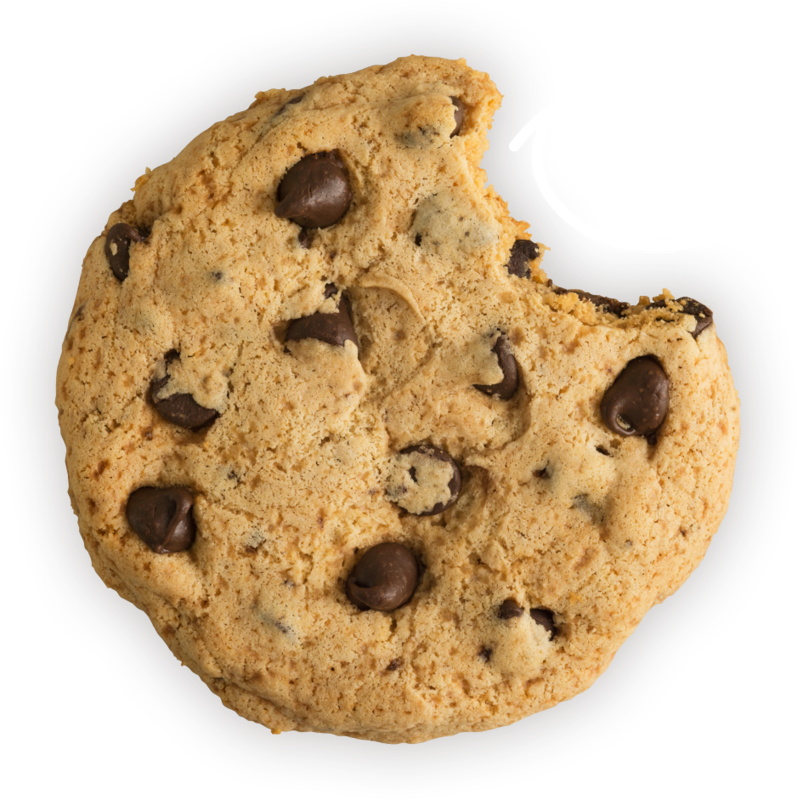 When someone visits the Website, a cookie is placed on the visitor's machine. If you choose not to have your browser accept cookies from our Website, you will not be able to subscribe to the service offerings on the Web site. 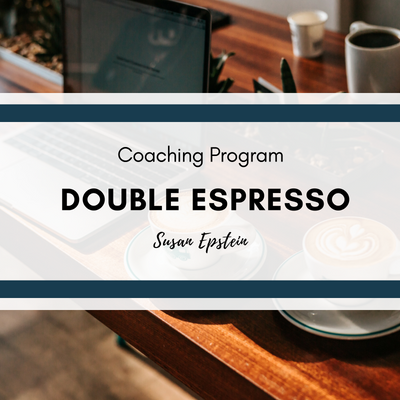 Be a part of a dynamic group of powerful coaches and experts, for accountability, strategy, connection and support to build your dream coaching business. Included in this program: twice monthly mastermind sessions led by Susan's hand picked rock star coaches and a once monthly Ask the VA call for all your Tech questions. 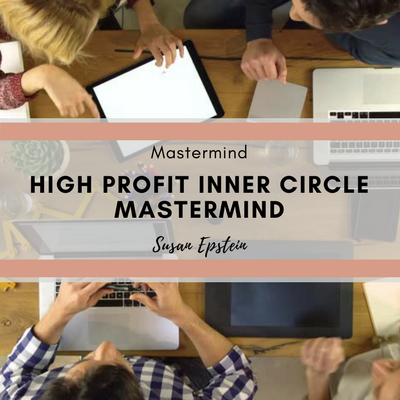 Included in this program is your own personal coach and twice monthly high powered mastermind sessions, led by Susan, and in person, live masterminds 1-2 times a year. Need some personalized support? We have a variety of options to suit your business needs and budget. Are you making 6 figures, and want to expand your business by stretching yourself even further? Build a team, create live events & retreats, and leverage your time? Work with Susan and her VIP team for all the hands on support you'll want and need. 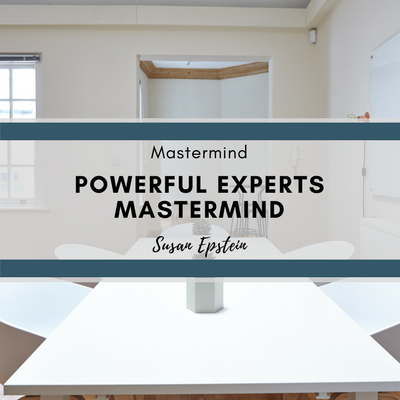 Included in this program is your own personal coach and membership to the Powerful Expert Mastermind. Define and Redefine your niche, establish yourself as an expert in your field and start enrolling your ideal clients into your coaching programs. 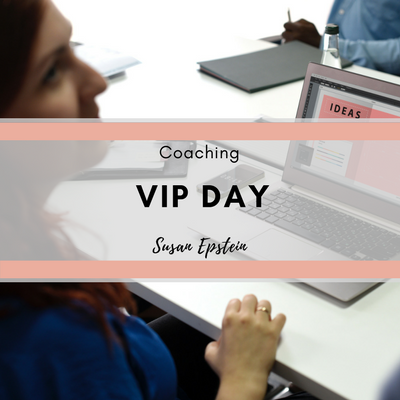 Schedule your full day or 1/2 Day VIP with Susan or one of her hand picked coaches to take a deep dive into your business. You might create a business plan, map out a program and a strategy to fill it, or even clear your blocks and self limiting beliefs. We kick it off with a prep call and follow it up with two laser coaching sessions. Get 6 months of Unlimited Video Coaching. You can reach out as often as you want and your coach will get back to you with powerful advice and insights within 2 business days via video! Receive the support you need and get all of your questions answered. 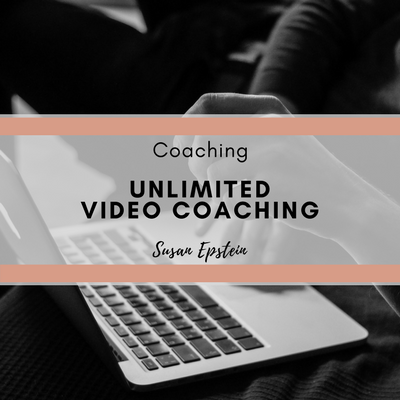 Unlimited video coaching with unlimited answers. Join now and get started today! Intensive online trainings to grow your coaching business. This training sets you up to create, design and fill up your group coaching program. The workshop style approach gets you into action while you are watching the videos. Staying focused is key to growing your business. You discover what to let go of so you can focus on your ONE THING: filling your group! 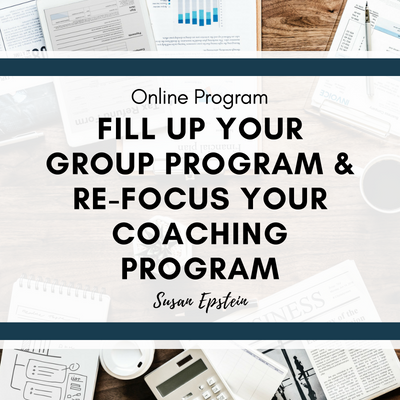 This training sets you up to create, design and fill up your group coaching program. The workshop style approach gets you into action while you are watching the videos. 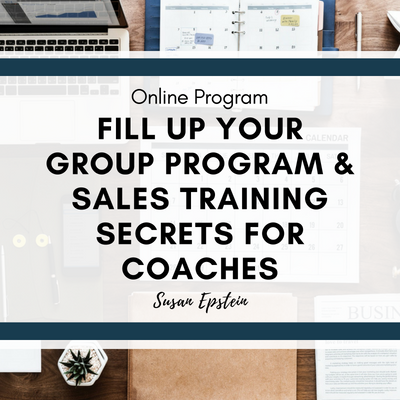 Enrolling clients into your programs is easy when you use the treasure chest of tools and scripts inside Susan's Sales Training for Coaches! Increase signups! 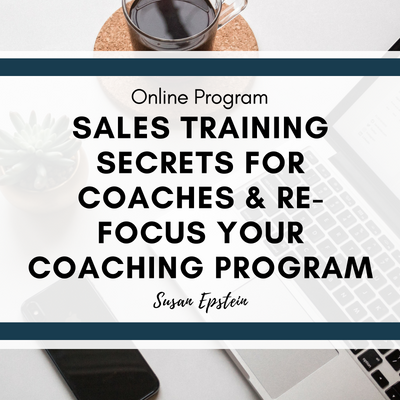 Enrolling clients into your programs is easy when you use the treasure chest of tools and scripts inside Susan's Sales Training for Coaches! Staying focused is key to growing your business. You discover what to let go of so you can focus on your ONE THING: filling up your coaching practice! This training sets you up to fill up your coaching practice right away. It is designed to get your Facebook Group created and up and running immediately. 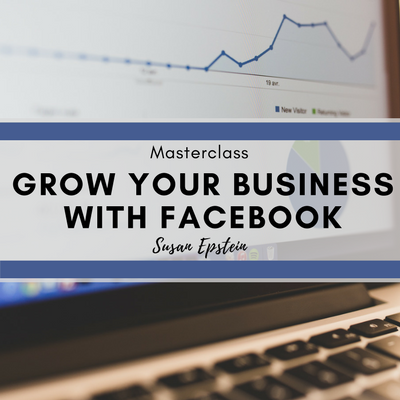 You'll quickly establish yourself as a expert, discover how to leverage your Facebook Group and engage the members to hop on a call with you. 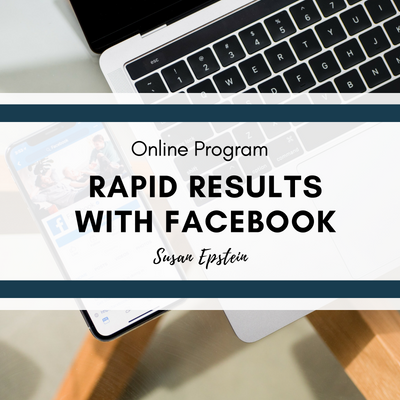 Finally, Susan walks you through enrollment with real transcripts from actual clients she's signed up from her own Facebook Group. Targeting trainings led by Susan to increase your ROI. 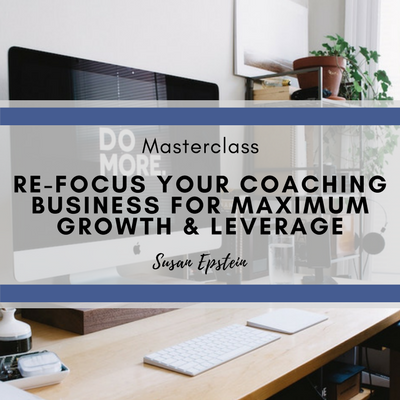 The fastest and most effective ways I've been able to grow my coaching practice is by knowing how to re-focus my Coaching Business for Maximum Growth & Leverage. That means, I've figured out the perfect strategy to get to the CORE of my business where the passion/love/giving/ & monetary rewards all come together in a beautiful design. Create highly irresistible online group coaching program that sell out again and again. 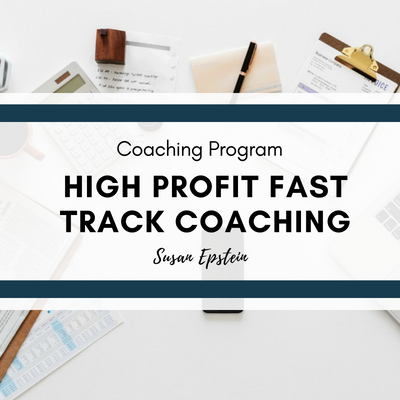 I will teach you the secret to pricing your program, how to create your highly irresistible program that brings in a steady stream of income, and the “Magic Content Method”: Use this to create endless value and teaching content for your group coaching programs. 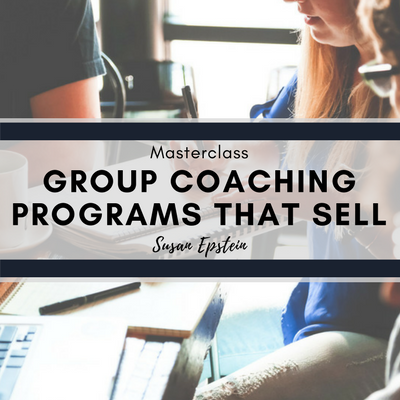 You'll discover how to quickly and easily sell out your coaching programs using Facebook groups. 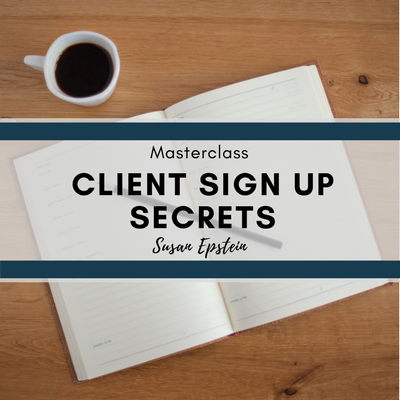 I'll share the step by step process that triples your sign-ups and creates a never ending waiting list of clients wanting to work with you. Quickly and easily overcome the top 5 objections you'll hear from prospects while on an enrollment call and how to overcome them once and for all. Triple your sign ups by knowing what to say and how to price your programs. 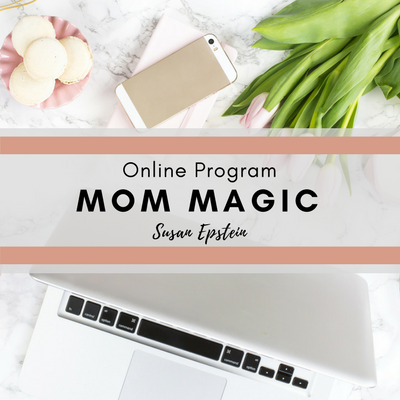 Online Program for Parents and Parenting Professionals. Instantly be able to apply simple, effective techniques & strategies to turn all your child’s unwanted behaviors around quickly with long lasting results. Uncover the daily struggles that are keeping your kids from behaving and keeping you from enjoying being their parent. Have the confidence, the expert know how & ability to parent from a place of conscious intention… while enjoying your kids and creating wonderful memories for years to come. Each module dives into the biggest parenting challenges, giving you practical (and ready-to-use-now tools).